There is nothing more horrifying for a homeowner than discovering that black mold is living in your property, but by understanding exactly what this potentially toxic substance is and what it does can help keep you calm and safe. 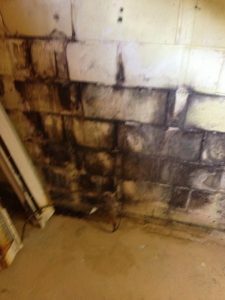 Black mold thrives in areas that are dark, warm and filled with moisture, such as the basements and crawlspaces in most Massachusetts home. The humid summers that Boston is known for make these New England households the perfect environment for fungi of all kind to grow, which is why it is so important for homeowners to be able to properly identify black mold. By learning how to recognize the signifiers of black mold in your home or building you can begin getting it out of the property before it has time to completely infest the area. The easiest way to find black mold is by taking note of its color. 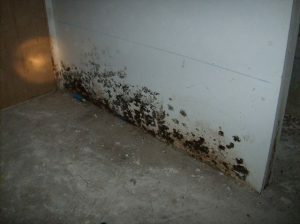 Not surprisingly, this type of mold is dark black, compared to other molds which tend to be different shades of green. 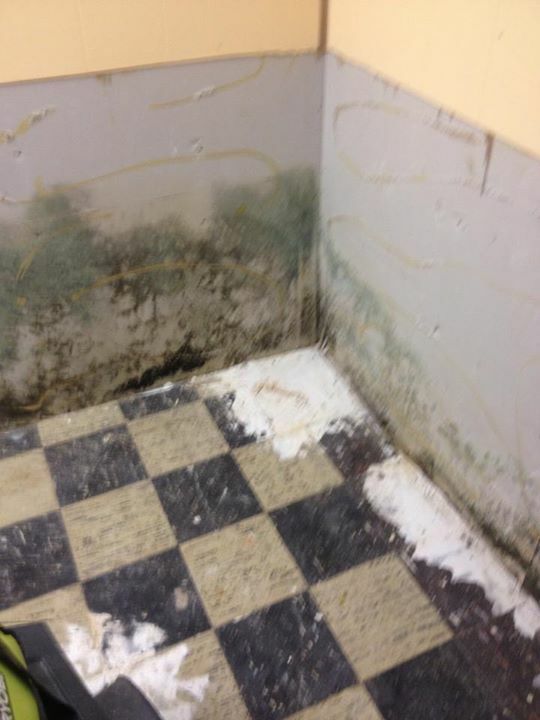 Mold is a living substance that needs to eat, and it consumes organic material such as wood. If the conditions are right and enough time has elapsed (which can be as little as 24 hours), it can deteriorate the walls, ceiling and flooring. This is a reminder that black mold can severely impact the structure of the home or building it is infesting. By inspecting the dark corners of your property, you may be able to spot structural degradation caused by the substance. It can also cause those breathing in the spores to experience health issues that can easily be mistaken for seasonal allergies that tend to flare up when you are inside the property with the mold. Depending how long you have been inhaling the spore-filled air, you may feel symptoms such as headaches, coughing, sneezing, itchy eyes, sore throat, chronic fatigue, and irritation of the mouth and nose. In some cases these issues may become even more severe and include nose bleeds, nausea and vomiting, and bleeding of the lungs. The best and most obvious way to safeguard your home against the effects of black mold is to completely remove all traces of the substance and its spores as soon as possible. As tempting as it may be to take bleach and a sponge to the wall covered in black, fuzzy spots, that is exactly the opposite of what you need to do in this situation. 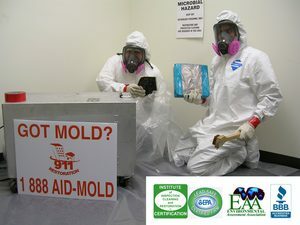 To keep your health in tact, it is best to completely avoid coming into contact with black mold and call professional mold removal agents to come in and remediate the toxic substance from the area. However, if you absolutely must sanitize the area yourself, then it is imperative that you wear full protective gear during the cleanup effort, including respirator or face mask and a suit that covers the head and extremities. It is necessary to prep the area before getting to work in order to prevent mold spores from spreading to other parts of the property. This is best done by duct taping heavy plastic to any doorways and openings and implementing an exhaust fan to remove any lingering spores. Once this is done you can start the cleanup process. Most hardware stores sell cleaning agents specifically made to clean up black mold. Remember to dispose of all materials used in the remediation process immediately. As intimidating as black mold can be, just remember that with the right information and equipment your home will be clean and safe in no time.